Selfish smokers: stub that out! The ban of cigarette sales has become one of the rising controversial topics in the UK. Did you realise that one of the most colossal killers in Britain is due to smoking related issues? It is just astonishing that more than 100,000 Britons die every year from this lung torturous habit. The cigarette is a defective product, meaning not just dangerous but unreasonably dangerous, killing half its long-term users. What is so appealing about these death sticks, the look, the smell, the taste? Death and product defect are two reasons to abolish the sales of cigarette, but there are so many more. A third, is the financial burden, principally from the costs of treating these patients who are surely to blame? Does it not cross the mind of smokers that by treating disease directly caused by smoking produces medical bills of more than £5bn a year in the UK? This figure is worryingly high considering the amount of people there are living on the streets who could be housed for that cost. Is this fair? This is money being drained out by the NHS as a direct result of something, we as a country, have the power to prevent. Should this money not be going towards a more worthy cause? Cigarettes increase your risk of developing more than 50 serious health conditions, some of these are fatal or are causing irreversible long-term damage to your health. They blacken your lungs, they cause damage to your body and most important of all are life- threatening. And, yet, you still reach out for another cigarette. You still reach out for fatality. When will people come to terms with the fact that they should just put that cigarette down? Surely if a smoker can afford costly cigarettes they might as well spend it on something like a house, a sports car or a holiday? Smoking is like paying someone to shoot yourself in the head! When someone smokes a cigarette, most of the smoke doesn’t even go into their tar smothered lungs. It pollutes fresh air where anyone nearby can breathe it in, even small children. Parents need to think again when they smoke in front of their children as they are killing them as well as themselves. Isn’t that just pure selfishness? Parents who smoke are just nurturing their children into thinking that smoking is the normal thing to do, which it shouldn’t be. Children who grow up with a parent or family member who smokes are three times as likely to take it up themselves which is ultimately why smoking needs to stop ASAP! Impressionable young children are being led astray, straight to the nearest ashtray. If people are not concerned about their own health, why can’t they take others into account? It was easy to start smoking therefore why isn’t it easy to give up the addiction as surely in this day and age we have enough information to realise it is not something you do. 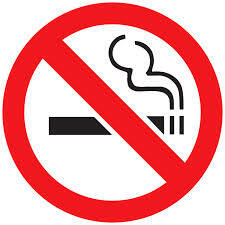 I realise that this won’t be an easy task to ban cigarettes but it will benefit the future greatly. When will this all end? When will people realise that smoking kills? It’s time to act. Smoking is a controversial topic as many people want to voice their opinions about everything and to keep to that tradition, here I am. For many years I have been choked by clog of smoke in my lungs yet I still seem to see the positives. For some strange and bizarre reason, I seem to be optimistic when I see someone buy cigarettes as I know that they have just spent a lot of money on a bad habit - even though that money can lead to good things. For example healthcare, as about 15% of all tax comes from buying cigarettes, a massive of money going straight to the resources we as a nation require. Yes, I know that many people will saying the fact that a lot of smokers are using the healthcare due to smoking but hey, it evens itself out. Over the past year I have seen many youngsters smoking which even I can agree is a worry for their darling little lungs to handle, however, I believe that if they got themselves in that “pickle” that they can get themselves back out of it. My opinion is that if smokers can afford it and aren’t harming anyone with excess smoke we can all let it drop, but the idea of having chargrilled lungs is not one that I recommend, so like every other member of the public who doesn’t like smokers I have devised a plan to push all smokers to the far side of Antarctica where they can’t bother us and they will have heat from their lighter, what more do they need? However my view bends when education is involved in the picture as everyone has the right to an education especially if it’s a smoker who is helping fund schools by paying ridiculous amounts of money on taxes for cigarettes that people complain so much about. These taxes do not just evaporate into thin air, they go towards paying for schools, public transport, the NHS and even pot holes. The fact is, smoking benefits the economy; so what if it doesn’t benefit the health of the person who made the decision to start smoking? If cigarettes were banned crime rates would go sky high – the clue is in the term ‘nicotine addiction’ – you can’t just “drop a cigarette” and quit whenever you feel like it if you’re addicted, it’s a chemical balance in your system that makes it almost impossible to quit. Think about that when you suggest the ban of cigarettes and the fist-clenching, gun-chewing, nicotine-deprived fugitives who would be having their rights taken away from them if we banned smoking in the UK.